Quality over quantity or vice versa? Your answer to this question will reveal your business’ new customer lead generation goals. The truth is, neither one should take precedence. But there may be times when your business should focus more on one than the other. For instance, if your business has long been giving priority to the quantity of new customer leads, it might be time to look at lead quality. 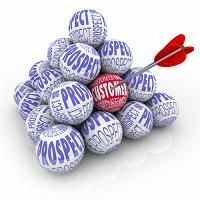 You see, your sales and marketing teams might be patting themselves on the back over the success of their numbers, but the conversion rate of those new customer leads might be dismal. Turning that scenario around is possible by increasing the quality of your leads. And just how do you do that? Continuity Programs’ turnkey marketing solutions offer businesses a proven method for generating quality leads from your customer database. We use cross-media marketing materials combined with our tested database management tools and customer tracking system. E-alerts sent as a prompt to a physical mailing gives your customers the opportunity to communicate with you via email. You see, our programs let you design a lead-generating campaign that will meet your business needs and growth goals. Our experts will work with your team to create the optimal plan that includes marketing materials that will increase the quality of your new customer leads and drive your conversion rate. We can also help you develop a plan for prospecting new customers by targeting consumers with your selected demographics. Contact Continuity Programs today, and find out how we help businesses in more than 20 industries increase the quality and quantity of leads generated.